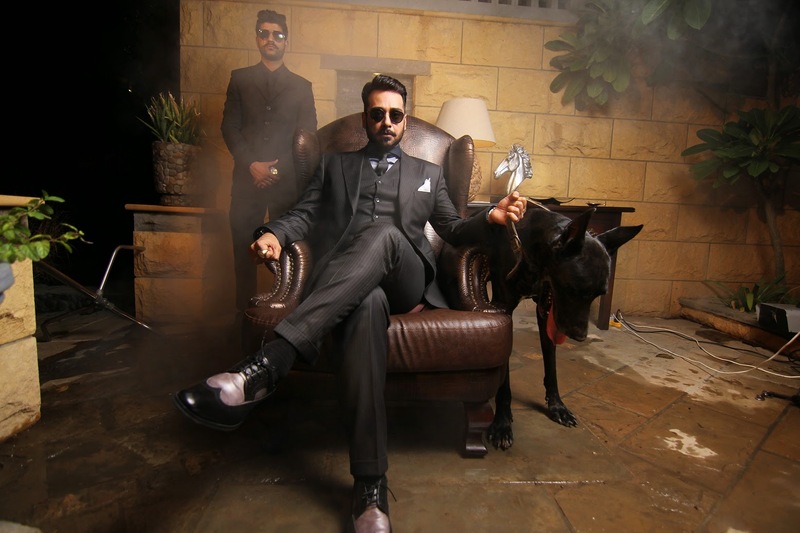 [Pakistan, Wednesday, 31st December 2014]: Having kickstarted on a high note, 2014 definitely turned out to be an exciting year for Faysal Quraishi. His grand project Bashar Momin, went on to become one of the most watched serials of the year. The lavish sets, gripping storyline and Faysal's on-screen chemistry with actress Ushna Shah received acclaim from critics and audiences alike. Besides doing many other glamorous TV shows, Faysal also starred in a serious TV play named Adhuri Aurat which dealt with the sensitive topic of breast cancer. He became the first Pakistani celebrity to launch his own smartphone application, and remained as one of the most popular morning show hosts through his show Muskurati Mornings on TV One. His show Ikraar, where he stars opposite Resham, is currently being aired on GEO TV and receiving a great response. Along with other popular Pakistani TV shows that were handpicked to be aired in India, Faysal's Mano Salwa (renamed Tere Ishq Mein) and Meri Zaat Zara-e-Benishaan (renamed Kaisi Yeh Qayamat) were two of the most popular viewed across the border. After winning accolades in Pakistan, the shows were welcomed in India with the same enthusiasm and resulted in Faysal receiving a lot of fan mail and interview requests from there. Speaking about the success of his shows in 2014, Faysal said “I am humbled by the love India's viewers have given not only to my shows, but to all of our Pakistani shows. I strongly believe, in the end Pakistan's success is my success hence I am proud of actors like Fawad Khan who represented the country in a positive manner. This year was very exciting for me with the success of Bashar Momin and my other projects, but unfortunately the Peshawar incident left me so shaken that all happiness has paled in comparison. I cannot stop thinking about what happened and cannot focus on any future projects right now though I had very exciting plans for the New Year initially. May God show mercy on our country and keep us and our children safe. That's my only expectation from 2015”.